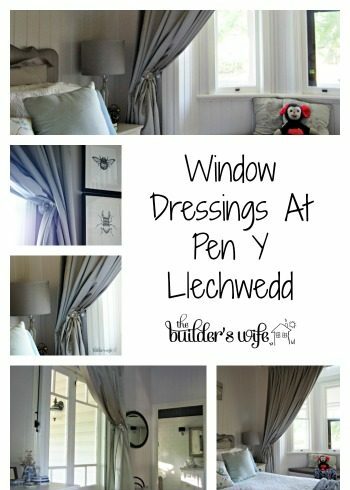 When we first arrived at Pen Y Llechwedd one of the first things to take our eye, were the window dressings. 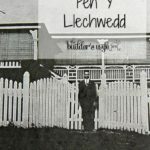 Pen Y was decked out in the most magnificent dust catchers you could imagine. There were 3 layers on just about every window. 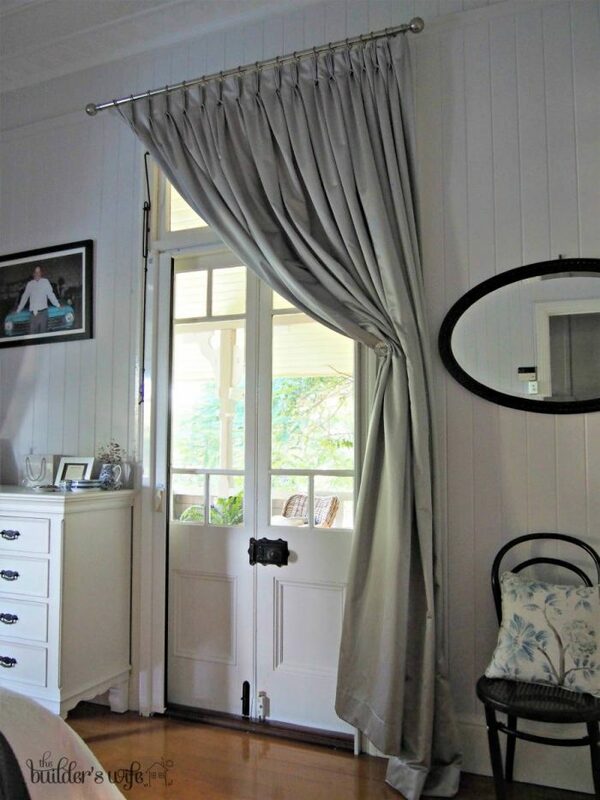 A roller blind, lace curtains and finally a heavy drape. While I am sure these were once beautiful, time and several tenants had not treated them well, and it was time for these to depart. Choosing new window dressing was a little more difficult than we thought it might be. 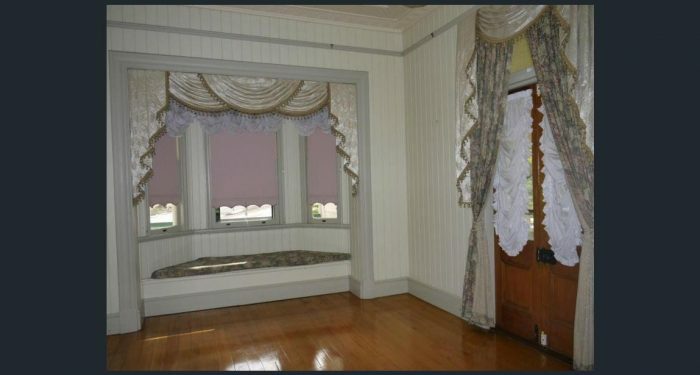 When we took stock of all the windows in our home, most of the windows upstairs are bay windows or window seats. One advantage however, was that the glass in all windows other than the bedroom window was obscured glass, so the decision was made to leave these windows without dressing. 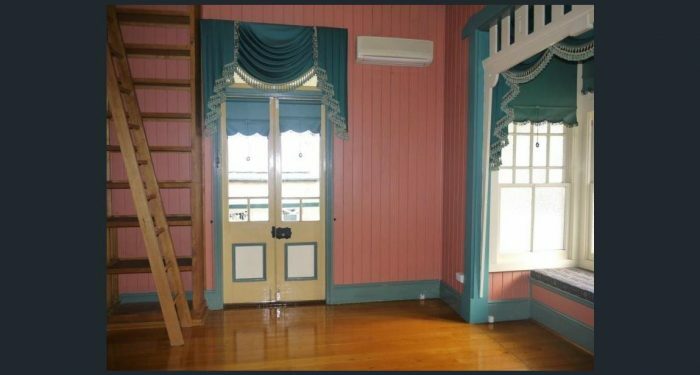 That left the master window seat and French door and the French door in the library. 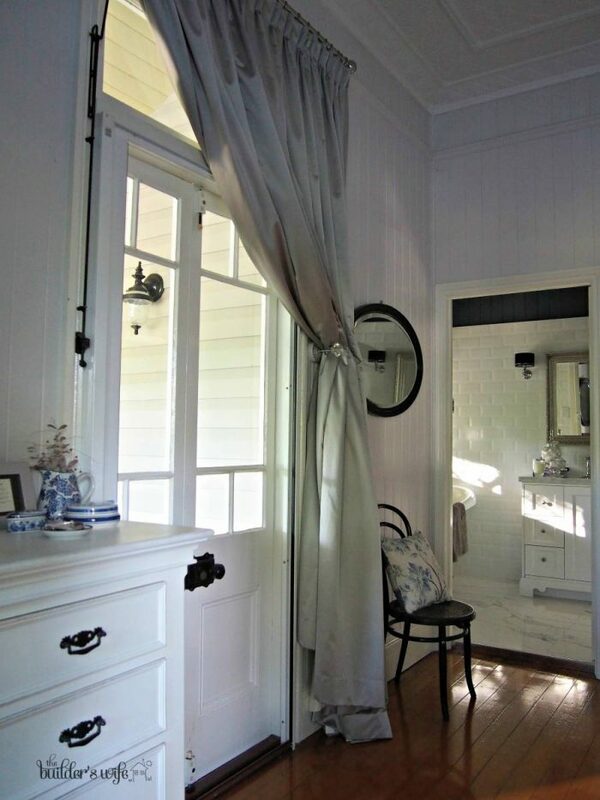 We were very unsure how to ‘dress’ these windows, as we did not wish to distract from the gorgeous features of the home. 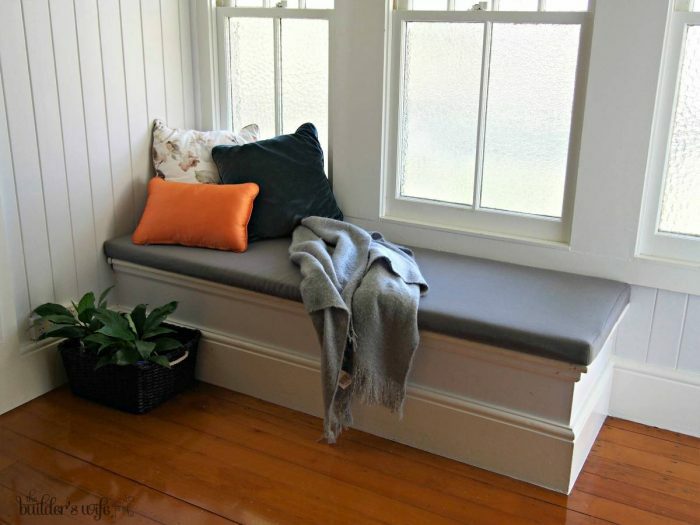 We spent many hours looking at shutters, curtains, and blinds before finally settling on curtains that would be hung on the outside of the window seat. Next up we had to choose the length, material, the curtain rod and finally the tie back method. 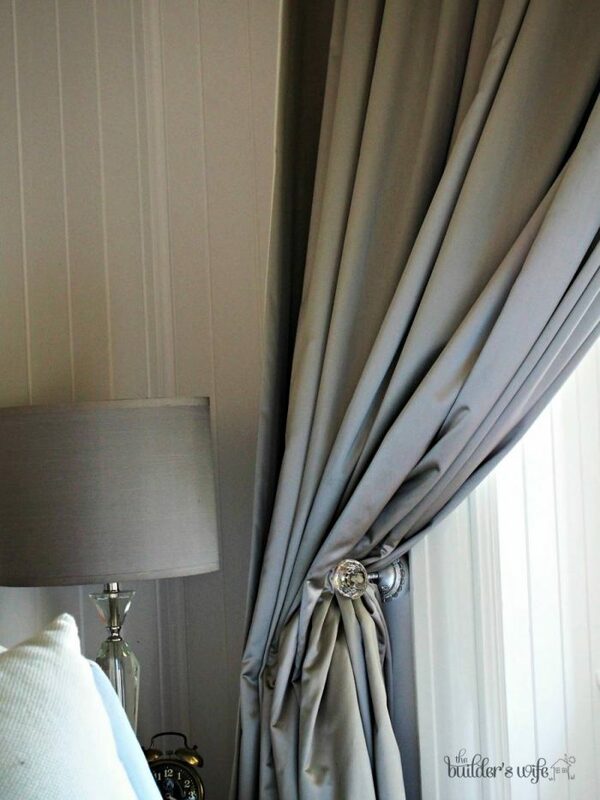 We choose the curtains to be long enough to puddle on the floor and had them made as a triple pinch pleat as we felt this gave a more luxurious finish. While this did create extra expensive as more fabric would need to be used, we are very happy with the result. 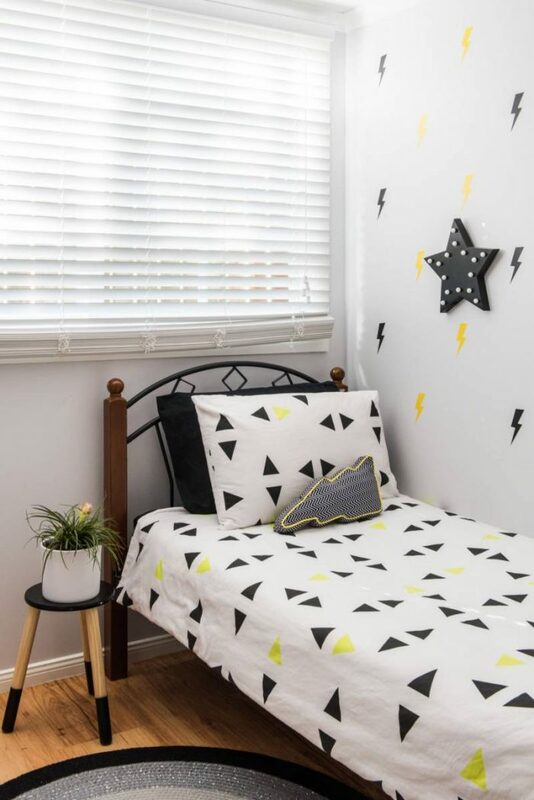 Selecting the fabric was tough, we did not yet have the bedhead in place, and did not have a sample of the silk it was with, we only had a sample of the wall colour and the final selection was made with fingers crossed it would pull together, and lucky for us it did. 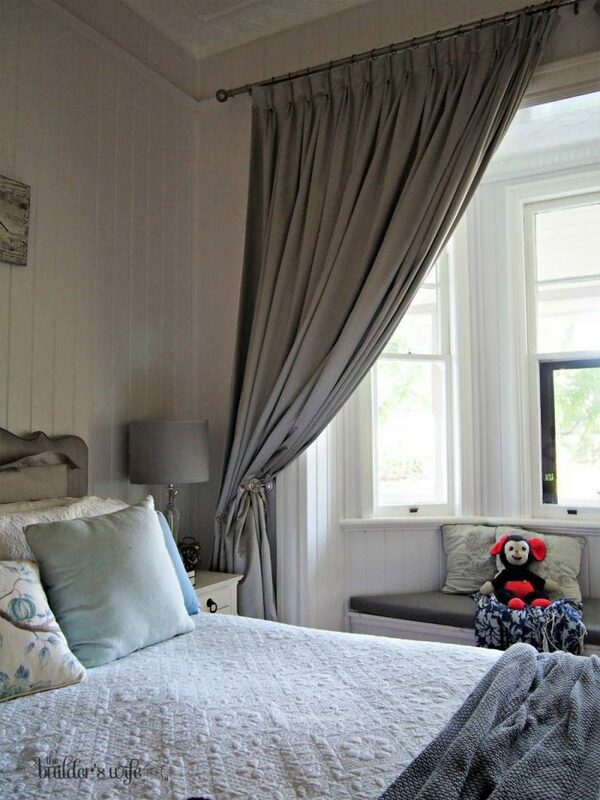 The steel silk curtains are just what we had hoped. In the downstairs “modern” part of out home we have used white timber Venetian blinds. 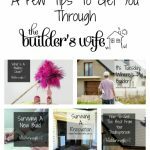 They are practical, inexpensive and easy for the kids to use. A large part of our home is still without window dressings due to the obscured glass, and we love the light and the ventilation it allows. 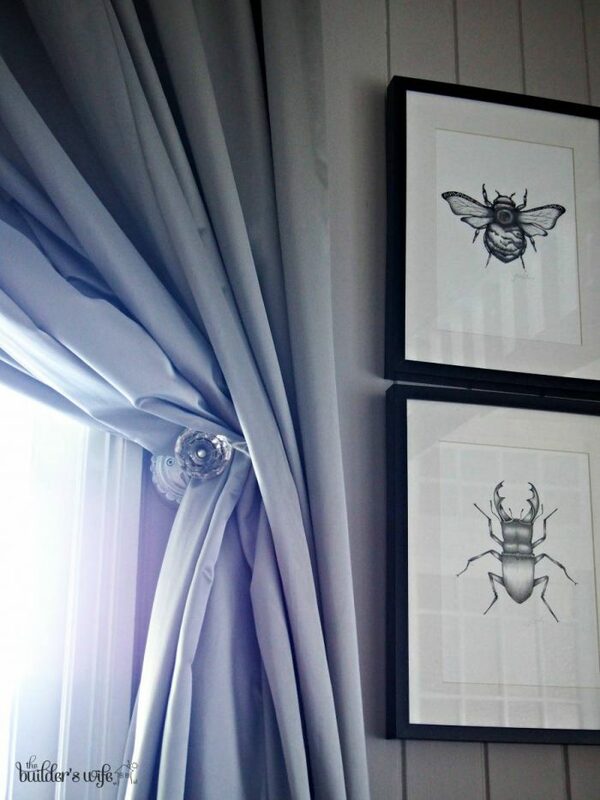 What kind a window dressings do you have in your home? Any tips for cleaning Venetian blinds?